In my line of work I encounter many entrepreneurs, a lot of whom are serial entrepreneurs. I’ll share a few of my key findings based on their experiences starting businesses. As you read these tips, consider the actions you can take to positively impact your own business. Well, your time is now. People delay taking risks, and they find a dozen reasons to do so. But the main reason is this: they are uncomfortable with uncertainty. They are scared of the unknown. They sometimes are too cautious or lack self-confidence. If you truly have a great idea, bet on yourself. I won’t tell you that you won’t regret it, but I can almost guarantee that not taking a smart risk will be worse. If you want to start your own business, take the first step this week: come up with the company name, register your LLC or take any other concrete step. Acting on your business idea does not mean that you should act on it without careful consideration of the risks involved, preferably before you get too far along. Find business partners, identify your widget or service exactly, have brainstorming sessions with friends or family members and outline a preliminary business plan. Be prepared for roadblocks and, if you have the time and energy, create a contingency plan. What’s your exit plan if this goes up in smoke? A contingency plan can help if your initial plans face a significant challenge and you are unsure where to turn. I see many people get scared in the early stages of a business plan and retreat to jobs at which they feel safe and comfortable, though perhaps less happy. Others are so determined to actualize their ideas that they are unable to objectively evaluate when it is time to stop trying and call the endeavor a good, but failed, learning experience. Set a time frame – for example, twelve months – for how long you will try your business idea. Make sure to identify specific times (preferably specific dates rather than “every 3 months”) when you will evaluate the time investment and if you’re where you need to be in your business plan. If you give yourself one year, that is not set in stone. If things start picking up in the 11th month, you should probably keep working on the venture for a while and reevaluate the timeline. Entrepreneurs are ambitious! They also want to show themselves and the world that their business is successful in just a few months. Set your pride aside (also known as checking your ego at the door) and focus on creating a solid foundation on which long-term growth is possible. The wider and better quality the foundation, the more it will be able to hold as you grow vertically. Are you ready to start your business? Outline three concrete steps that will get you started and try to complete those steps (or set them in motion) in the next seven days. Do you already own or run a business? Please share your own thoughts and advice. My last 13 posts have been specific tips designed to help you do a better job preventing fraud at your company. My hope is that by calling your attention to the variety of ways that people commit fraud and by sharing these anecdotes you’ll be proactive in putting in place checks and balances and sticking to the kind of no-nonsense fraud prevention policies that keep businesses healthy and safe. Let this post serve as a reference for each of the 13 Fraud Prevention Tips I’ve offered, and please feel free to add your own. Someone asked me why I did so many posts on Fraud Prevention that they ran right out of March – Fraud Prevention Month – and all the way to the end of April. As I mentioned in my very first post about fraud this year, preventing fraud is a year-round process. You need to be vigilant all the time, building a system that is internally monitored – and that monitors the monitors. Please let me know what your fraud stories are, what tips you’d add to my list and how you prevent fraud. I want to keep on with this idea of happiness and focus even more closely on the things you can do to increase your happiness as it relates to money and finances, both personally and for your business. It may come as no secret to you that debt makes people unhappy, but you’d be surprised at how little debt it takes to sour relationships, create tension and stress and ruin a business. 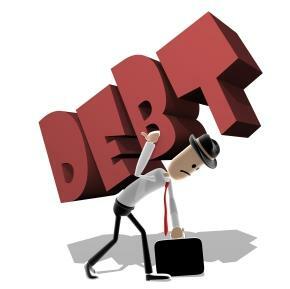 Therefore, whenever possible, make sure that you and your company are carrying as little debt as possible. To tell you to spend money paying down debt that your business doesn’t have might seem foolish, but what’s foolish is spending money that your business doesn’t have in the first place! TIme and again I am brought in to resolve the problems of businesses with inordinate debt and money owed to a wide variety of lenders and creditors. As I look back to see what debt is really in front of us, who’s owed what and at what interest rate, when loans are coming due, etc., I often uncover a similar pattern. Those who are in debt need not be in debt – or at least not the kind of debt they’re in. They are in debt because they didn’t take the opportunity to pay down some of their initial debt when they had the chance. Instead, they sought to use their capital for further investment (or unsavory things), thereby driving themselves further and further into debt when paying that debt off in the beginning would have done wonders for the future of their business. That is to say, they would have been able to keep their businesses. It is true that sometimes the answer to a cash flow problem is a loan, but I have been in numerous situations where any loan would have been throwing more money at a sinking ship. That is why it’s important not to take loans to supplement loans. This may seem like obvious advice, but you’d be amazed at how often these are the problems I’m dealing with. When given the opportunity to pay the principal down on a loan or to pay off a credit card you’ve been using to finance your business, do it. Don’t think that buying a new piece of fancy equipment for your factory is the perfect way to grow your business faster or that hiring a new employee will solve all of your problems. Pay your debt down and continue to own your business. It will keep you focused by ultimately keeping you less stressed and helping you avoid crises and debt in the future. Want to be happy at your job? Then keep your business debt free. Is your business buried under debt or has it been? What did you do about it? I like winning. And learning that winning is not always the best outcome in a negotiation is one of the hardest lessons I’ve had to learn in my 30 years in business. My father used to tell me that being successful in making deals is strongly tied to the ability to leave something on the table for your counterpart – even if you are in a position of power. “But isn’t it always better to pay less for the same items or to make more money on a particular deal?” – you may ask. Not always, because the “buy low, sell high” principle fails to account for a crucial element in business: relationships. Back in the day I used to be a very tough negotiator, and I wasn’t even aware of it. I was simply unwilling to settle for a deal that I thought could be more advantageous for me or my side. And I got the best deals. But what happens after you close a deal? Life goes on and other negotiations and business opportunities come around. And, somewhat inevitably, some of these opportunities arise with folks who know you or have heard about you. Following what I considered to be successful deals at the beginning of my career, I was confronted with the ramifications of the experiences of those with whom I had previously negotiated. That is when I began to truly understand the meaning of win-win solutions in business environments: the benefits of leaving something on the table so people enjoy working with me and feel like they’ve won, too. 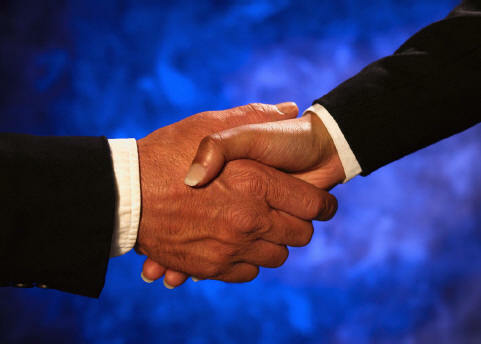 Because of my reputation as a fair negotiator for the past few decades, business partners often seek me out even if the deal with me is slightly less financially advantageous for them. Most negotiation counterparts also come to me with fair deals to start (as opposed to starting at extreme positions) which cuts down the negotiation time and leads to more efficient business deals. Saving time and minimizing stress in business situations is often overlooked when evaluating the process of getting to a solution in a case. Due to the many good relationships I developed in my industry and other fields, business partners trust me. And trust is one of the most valuable assets you can have in business. Is my “always leave something on the table” advice applicable to all cases and situations? Of course not. You must know when to focus on a mutually advantageous outcome, and when getting the absolute best price or deal is the only objective. But don’t forget, you may not be seeing the last of the person on the other side of the table. Do you believe in win-win solutions in business? Do you find them challenging to achieve? Share your story in the comments below. Over the course of the last few months, I’ve had three organizations/businesses bother me in connection with one product sold by one company that we’ll call Round Pals. I found their intersection to be particularly interesting. Round Pals immediately stopped using the material and wrote to tell Big Guys exactly that. All was professional and cordial. No harm. No foul. The second company was the manufacturer of a major product sold by Round Pals; we’ll call this manufacturer Safe Co. In trying to negotiate for a better price on Safe Co.’s product, based on purchases of the exact same Safe Co.-manufactured product elsewhere, Safe Co. became concerned. As it turned out, Safe Co. was not selling the product for what Round Pals was getting it for elsewhere, and Safe Co. wasn’t sure how Round Pals was finding the product for so little. However, Safe Co. handled its concern and correspondence in a professional way, despite believing that this, being a safety product, was a major issue. We all really appreciated the way that Safe Co. (so far – the issue remains unresolved) has handled this issue. And then there was the government agency. Boy was the government agency and its representatives horrible. They threatened, they intimidated, they bullied, they badgered. They were rude. They were manipulative. They were unkind. They were unprofessional. I’d say I’ve never seen anything like it, but as a turnaround professional, I see this all the time. It was terrible dealing with this government agency because they didn’t care about time or money wasted – they just cared about ticking things off their check lists and moving on. But only moving on between the hours of 8 a.m. and 4 p.m. In the intervening hours they couldn’t care less. We repeatedly asked this government agency for documented proof of our errors and supposed wrong-doing. We asked to see the regulations. But they had none. Indeed, they misquoted their own documents and regulations, and sent us a 160+ page document about something other than what we were talking about and doing when we asked for clarification on our alleged error. I’ve said it before and I’ll say it again and again and again. We have got to run government more like a business. There are plenty of problems with the private sector, yes, but when I have private sector problems, I mostly find myself working in professional environments with mutual respect for time, money and energy. We also usually come to fair and amicable solutions to our problems. Not everyone ends up happy all the time or with what they want (often times this isn’t the case), but it’s amazing how different the approach and attitudes can be. Not always, but frequently enough that I found these three instances all revolving around one product a particularly illustrative case. Do you have any examples that run notably in favor of or counter to my point? As I sat in front of my computer struggling to express exactly what I wanted to share with you today, I realized that I might be more successful if I tried writing the old fashioned way. Thus, I broke out a pencil and paper, and instead of sitting in front of my computer, I changed up my environment and began to write. And the words flowed wonderfully. They flowed so well, indeed, that I decided that what came out wasn’t best shared today – but you’ll get to enjoy it later in an alternate manifestation. What I do want to share with you is the lesson my experience evoked: the value of changing up your environment when trying to accomplish something that doesn’t seem to be happening – especially when that something happens to require creativity. This is actually something I do all the time, though the pencil/paper approach was a new take on it. I’ve spoken before of my predilection for the beach in Hilton Head in the context of the value of rest and relaxation. One of the great things I love about the beach is its effect as a creative lubricant. My job involves a great deal of creativity, and I often do some of my most creative work at the beach. The environment isn’t the usual suited, office-furnitured, formal one of every day business, and that allows my mind to loosen and get creative with solutions and opportunities. I suggest you employ similar approaches in your own life and business. When you find yourself facing a tough situation, a complicated problem or a stalled out day, don’t keep spinning your wheels. Try changing up your tools and your environment. Try bringing fresh perspectives into your conversations. Just don’t do the same old thing if the same old thing isn’t getting you anywhere. How do you vary things to get the creative juices flowing?